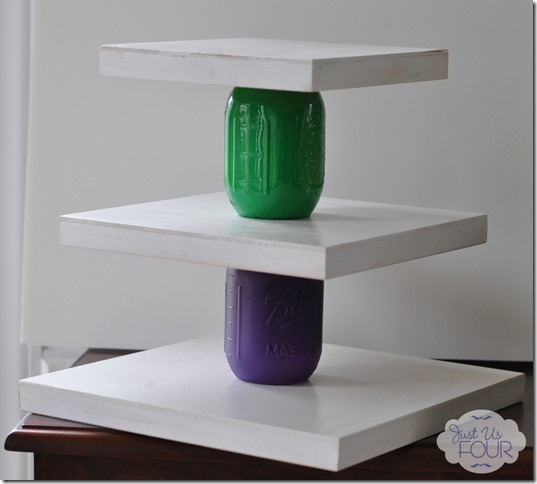 Grab those mason jars and make a fun mason jar cupcake platter. This is perfect for parties and you can use any paint that will coordinate with the party theme. Click here to see the step by step instructions over at Just Us Four Blog.